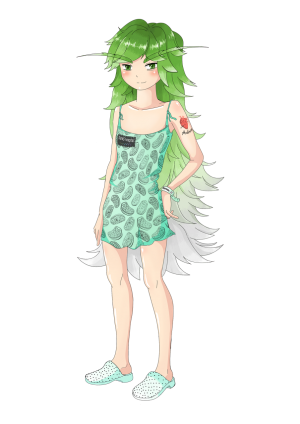 A stylised version of shòu, the Chinese character for "longevity"
Longevity-chan with her 'SENS hospital' name tag, Aubrey de Grey tattoo, 'rejuvenation' tag, and a dress decorated with cells. Longevism, also known as life extensionism or prolongevitism, is a viewpoint that favours living longer than normal. It is considered a transhumanist stance. Though longevism is related to immortalism, longevists do not necessarily desire immortality. The Italian Transhumanist Manifesto characterises longevism as a transhumanist stance in terms of "extension of the human lifespan and life expectancy within the limit of the opportunities increasingly offered by biological and physical sciences". Journalist Ozzy King has described life extensionism as a worldwide ideology dedicated to attaining radical life extension technology within one's lifetime. Philosopher Christine Overall defines "prolongevitism" as "the belief that a significant extension of life is both possible and desirable". This term was introduced by Dr. Gerald Gruman in his A History of Ideas About the Prolongation of Life, which distinguishes the idea into further categories, such as "religious prolongevitism", "magic prolongevitism", and "natural prolongevitism". In his book A History of Life-extensionism in the Twentieth Century, Ilia Stambler defines "life-extensionism" as an ideology that views extreme life extension as ethically desirable and scientifically achievable. He emphasizes that it "is not a method" but "is an aspiration and a motivation". He also describes a "life-extensionist movement", the adherence to which he defines as as openly expressing a desire for "maximal life prolongation" for oneself, one's group, or as many people as possible. However, Stambler notes that precise definitions of these terms are difficult to say, adding that "life-extensionism" is a recent term with uncertain origins. Anyway, he proposes designation of "life-extensionist" to all life-extension proponents. Stambler further introduces sub-categorizations based on aspirational life span: "moderate life-extensionist" for 100-120 years, "radical life-extensionist" beyond that, and "immortalist" for "virtually no potential limit". Longevists have been described as "desirous of living as long and healthy a life as possible" and "individuals who attempt to apply themselves current knowledge about the control of aging". They have also been described as believing in the power of various techniques of modern science to fundamentally and positively alter human biology. Extropian Max More defined a longevist as a "person who seeks to extend their life beyond current norms (but who may not wish to live forever)". Oxford researcher Anders Sandberg has described longevism as the "more plausible sibling" of immortalism. In a poll by the World Transhumanist Association, 93% of WTA members were said to believe in longevism rather than immortalism. However, abolishing death has been seen as "the logical extension of longevism". An early longevist was Luigi Carnaro, a Renaissance-era Venetian who advocated the health benefits of alcohol. At age 83, he wrote a discourse on healthy living, which was succeeded by three more such discourses by the time he was 95. Sociologist James Hughes claims that science has been tied to a cultural narrative of conquering death since the Age of Enlightenment. He cites Francis Bacon (1561–1626) as an advocate of using science and reason to extend human life, noting Bacon's novel New Atlantis, wherein scientists worked toward delaying aging and prolonging life. Robert Boyle (1627–1691), founding member of the Royal Society, also hoped that science would make substantial progress with life extension, according to Hughes, and even proposed such experiments as "to replace the blood of the old with the blood of the young". Biologist Alexis Carrel (1873–1944) was inspired by a belief in indefinite human lifespan that he developed after experimenting with cells, says Hughes. Hughes also notes Eric Drexler's proposal of using nanorobotics to cure disease and reanimate frozen bodies in his 1986 book Engines of Creation. In the '80s and '90s, philosophers were pulled together with longevity scientists by the work of extropianism, according to Hughes. Leading futurist Ray Kurzweil popularizes a version of Singularitarianism, says Hughes, that focuses on human benefits such as lifespan enhancement. Hughes also highlights Brian Alexander's 2004 book Rapture: A Raucous Tour of Cloning, Transhumanism, and the New Era of Immortality, which chronicles the merging of communities of longevists and genomic scientists, drawing the longevity subculture away from pseudoscience and towards legitimate science. Aubrey de Grey, proponent of the anti-aging movement, is a contemporary example of a prominent thinker on longevism. He was featured along with Ray Kurzweil on the album Neon Future I by recording artist Steve Aoki, who has been called "one of the most prolific campaigners for life extension". Other modern longevists include writer Gennady Stolyarov, who insists that death is "the enemy of us all, to be fought with medicine, science, and technology", and philosopher Zoltan Istvan, who proposes that the "transhumanist must safeguard one's own existence above all else". Futurist George Dvorsky considers aging to be a problem that desperately needs to be solved. ↑ 1.0 1.1 1.2 1.3 Campa, Riccardo (July 29, 2008). "Italian Transhumanist Manifesto". Instititute for Ethics and Emerging Technologies. "The remaining 93% confine themselves to a much more pragmatic and realistic stance, defining transhumanism under this aspect in terms of longevism, extension of the human lifespan and life expectancy within the limit of the opportunities increasingly offered by biological and physical sciences." ↑ Synnott, Anthony (October 27, 2011). "The Meaning of Life". Psychology Today. "Sensationalism: [...] Quality of life, not quantity: totally opposite to prudent, careful longevism"
↑ 3.0 3.1 Stambler, Ilia. (2014). A History of Life-Extensionism In The Twentieth Century. ISBN 1500818577. "The term life-extensionism is meant to describe an ideological system professing that radical life extension (far beyond the present life expectancy) is desirable on ethical grounds and is possible to achieve through conscious scientific efforts." ↑ 4.0 4.1 Sandberg, Anders (October 27, 2017). "Can you be a death positive transhumanist?". Andart II. "Immortalism, and its more plausible sibling longevism, directly breaks the taboo against discussing death honestly." ↑ 5.0 5.1 More, Max (Spring 1993). "Self-Transformation: Expanding Personal Extropy". Extropy 4 (2): 15–24. "Immortalist: A person who believes in the possibility of, and who seeks to attain, physical immortality. Longevist: A person who seeks to extend their life beyond current norms (but who may not wish to live forever)." ↑ King, Ozzy (8 August 2015). "Live Long Enough To Live Forever! (Part One)". St. Lucia Star. "If anyone feels like Woody, he will be elated to discover that the 21st century is most accommodating as world-renowned scientists like Aubrey de Grey and Ray Kurzweil are convinced that radical life-extending technology is achievable within our lifetime. In fact, there is worldwide ideology known as life extensionism dedicated to achieving that very mission." ↑ Overall, Christine (1 December 2004). "Optimism, Pessimism, and the Desire for Longer Life". The Gerontologist. 44 (6): 847–851. doi:10.1093/geront/44.6.847. Retrieved 28 December 2017. "The specific form of meliorism that interests Gruman is given the awkward name 'prolongevitism,' meaning the belief that a significant extension of life is both possible and desirable." ↑ Gruman, Gerald J. (1966). "A History of Ideas about the Prolongation of Life: The Evolution of Prolongevity Hypotheses to 1800". Transactions of the American Philosophical Society. 56 (9): 1–102. ↑ "Research at the Calorie Restriction Society". Alcor News. Alcor Life Extension Foundation. October 25, 2006. Retrieved 6 May 2015. "Since your Alcor membership defines you as extremely interested in living life, I imagine that you are also a longevist – desirous of living as long and healthy a life as possible." ↑ Editors of Ronin Publishing (June 25, 1996). "Preface". Fountains of Youth: How to Live Longer and Healthier. Ronin Publishing. p. xix. ISBN 0914171763. "Longevists are not necessarily gerontologists, but are individuals who attempt to apply themselves current knowledge about the control of aging." ↑ Jim Mellon; Al Chalabi (2017). Juvenescence: Investing in the age of longevity. Harriman House. ISBN 0993047823. Retrieved 30 December 2017. ↑ Dormandy, Thomas (March 2000). The White Death: A History of Tuberculosis. New York University Press. p. 432. ISBN 0814719279. "And, it goes without saying, the logical extension of longevism – the 'abolition' of death – would not be a solution but only an exacerbation." ↑ Porter, Roy (November 23, 2006). "The case of consumption". In Bourriau, Janine. Understanding Catastrophe. Cambridge University Press. p. 185. ISBN 0521032199. "Dr Thomas Trotter endorsed the advice of the famous Venetian longevist, Luigi Cornaro, who prescribed at forty, two cordial glasses of wine a day, four at fifty, and six at sixty, while Dr Peter Shaw wrote a book in 1724 to prove – to quote his own title – Wine Preferable to Water, indeed A Grand Preserver of Health." ↑ Porter, Roy (2003). "The Spectator: the Polite Self in the Polite Body". Flesh in the Age of Reason. Penguin Books. p. 135. ISBN 9780141912257. "An inspiration to all should be the renowned Renaissance longevist Luigi Cornaro, whose tale was told. [...] Eventually, at the ripe old age of 83, he composed his Discourse on the Temperate Life (1550), which propounded his regimen of health; a second discourse was added at the age of 86, a third at 91 and a fourth at 95." ↑ Hughes, James (October 20, 2011). "Transhumanism". In Bainbridge, William. Leadership in Science and Technology: A Reference Handbook. SAGE Publications. p. 587. ISBN 1452266522. ↑ Tez, Riva Melissa (May 11, 2015). "Steve Aoki, Dan Bilzerian, a giraffe and the search for eternal life". i-D. VICE. "Unknown to most, Steve is both an undeniable champion of life expansion as well as one of the most prolific campaigners for life extension. Understanding that the depth of his life's experience is limited by time alone, in his latest album Neon Future he pens lyrics such as 'Life has limitless variety... But today, because of ageing, it does not have limitless scope.' [...] Set up by the Steve Aoki Charitable Fund, the profits from the Dan Bilzerian party went to life extension research." ↑ Stolyarov, Gennady (November 25, 2013). Death is Wrong (PDF). Rational Argumentator Press. ISBN 978-0615932040. ↑ Istvan, Zoltan (October 2, 2014). "The Morality of Artificial Intelligence and the Three Laws of Transhumanism". Huffington Post. ↑ "Futurist: 'I will reap benefits of life extension'". Al Jazeera America. May 7, 2015. "To Dvorsky, aging is a problem that’s desperately in need of solving." This page was last edited on 1 January 2019, at 12:50.